HSP Media Network, S G Highway, Ahmedabad. There is not a single day in the life of a marketer when the term ‘Lead Generation’ isn’t part of the discourse. After all, the growth and survivability of your business solely depends on the quality of leads you generate and how well you convert them. Generating leads is no easy task in a competitive business ecosystem where your competitors are eyeing for the same set of customers. You may already be running an email marketing campaign and it has offered you great success so far. But you need to constantly keep adding new leads to your email list in order to ensure your marketing campaign runs on full steam. This is where online quizzes create more engagement and better scope of lead generation. Quizzes are high on engagement quotient and hence they help you generate leads faster compared to other marketing strategies that you may have already explored. In fact online quizzes help businesses grow their email list by as much as 500%. You can very well sense the opportunity of growth in business and sales when you grow your email list five-fold. There are two types of online quizzes that are employed in a marketing campaign – Trivia Quizzes and Personality Quizzes. 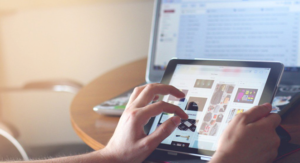 Each of these have their own advantages but most marketers prefer Personality Quizzes as they help study users’ needs and run targeted marketing campaigns. Creating and launching an online quiz doesn’t require high level of technical expertise nor does it require you to be ace in web design and development. An online quiz maker would allow you to crease quiz on a WYSIWYG (what you see is what you get) editor. From choice of design to the number of questions, the logic at the end of the quiz and the User Interface you would be able to tailor every aspect of your quiz using an easy to use online quiz maker. You can express your creativity and ingenuity while using this tool and publish a quiz within minutes. 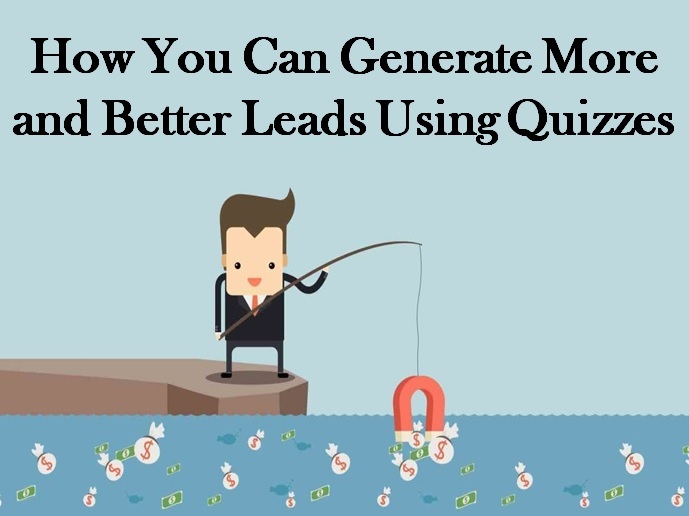 How Online Quizzes Helps You Generate Better Leads? Imagine speaking to an audience and reading out from a piece of paper. Will you be able to engage your audience? Compare this to starting with a warm-up question at the start and asking similar question throughout your speech. The latter strategy would definitely work better and online quizzes do the same. Compared to informative articles and blogs they are more engaging and hence they create more scope of lead generation. You can use a lead form in between your quiz and users won’t mind filling it up in their hurry to continue with the quiz. The more you know about your users your odds of targeting them are better. This is the reason most marketers these days prefer personality quizzes as an integral part of their lead generation campaign. Using personality quizzes you will not only be able to gather leads but also gain insights on what your users expect from your brand, what are they willing to spend on and what products and services they are planning to buy in near future. When you gain such qualified leads it immediately helps you run a rewarding marketing campaign. The aim with lead generation quizzes isn’t restricted to generating leads. It can be used creatively to promote your brand in front of a larger audience. If the questions and outcomes of your personality quiz are fun-filled your users are likely to share them within their social networks. This will help your quiz reach bigger audience and create awareness around your products and services at the same time generating leads. To sum up an online quiz maker holds answers to your lead generation challenge. With this tool you would be able to create engaging quiz in quick time and also generate leads faster than other strategies that you would have used so far. Choose the right online quiz maker and you would offer tons of leads to your sales team. Mark Gill is a writer and marketing expert. He specializes in interactive content and spends most of his time online looking out for new things and implementing the best possible solutions for his work. He constantly explores trends in content marketing and uses them to increase engagement and ensure success. He has always strived for perfection and is surely on the path to achieve it. We are proud to introduce our own Android App. Also get first of its kind white label Android Application.